It may seem like babies don’t need much more than regular milk feeds, plenty of nappies and a safe environment to sleep in. But actually there’s a whole load of awesome products designed for them, which they do kind of need as well. If you're in the market for a baby gift, whether it's a present for a baby shower or a token gift for a newbie that's been earthside for a while, here’s what they'll love, even if they can’t tell you themselves. 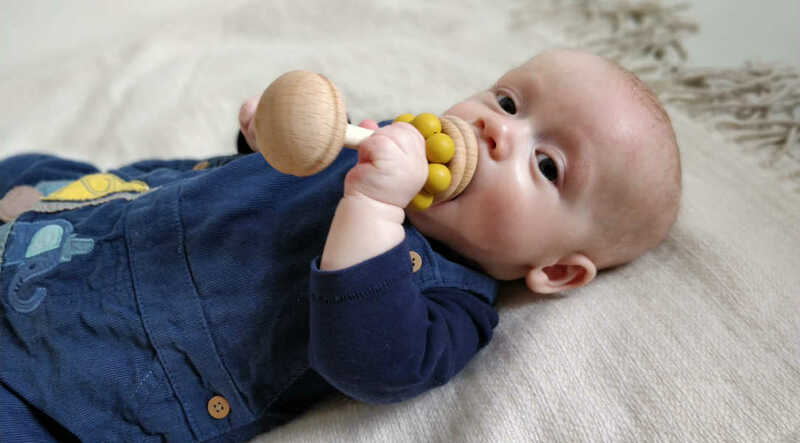 Itchy gums seem to appear as quickly as that delicious newborn scent disappears, and they'll be spending the large majority of their first two years of life teething...eek. Even the toughest of cookies can have a hard time popping pearly whites, so products designed to ease pain and soothe gums are ideal gifts here. Designed for tiny hands to hold easily, the Original Sophie la Girafe Toy is a great first teether. Made from 100% natural rubber, its extra long limbs that are perfect for having a good chew on. With an internal squeaker, tiny bubs will not be able to contain their squeals with delight when they squeeze Sophie and she squeaks. Blossom & bear, Teething Rattle. Experts suggest starting floor play and tummy time as soon as babies are born as it helps to strengthen neck muscles. We know it feels hard to put them down, especially when they often don’t like being on their tummy, but it's an activity that pays off in the long run. Here's a couple of products that make it all far easier. For a big gift idea, the Kid's Concept Baby Gym may be just what you're looking for. The soft, padded design is ideal for babies to play around on, learn to roll as well as hopefully enjoy some tummy time action too. With four woodland characters suspended from the arches, little ones can practice their grabbing and pulling skills as well. We love the contemporary muted pastel design too. 🙌 Likewise, this Baby Gym by Sebra is really modern too. It's the kind of stand-out gift that will be adored by everyone at a baby shower. Looking for a perfect play mat that will last beyond the baby years? This modern double-sided design by Avery Play has been made free from harsh chemicals, making it a safe place for kicking around. 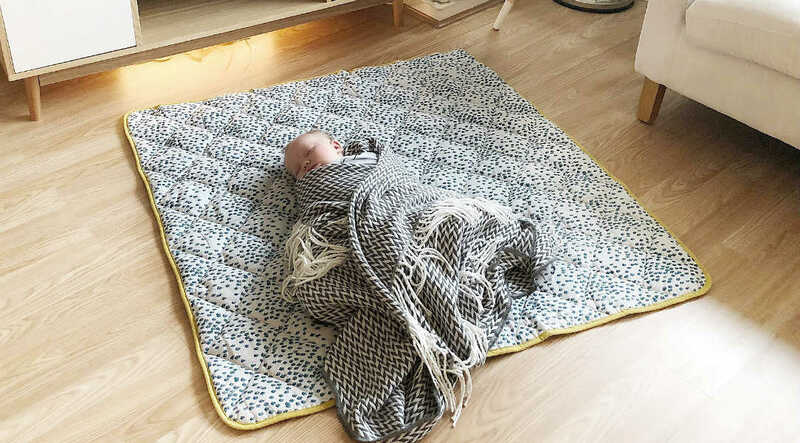 The quilted design won't bunch up when babies are rolling around too but it equally works as a blanket when babies are all grown up.😭 It's a quilted mat that will get loads and loads of love. Avery Row, Stay & Play Mat. Sensory play is a term thrown around a lot for babies these days and it can be a bit overwhelming for parents who don’t really know what it involves. Thankfully, brands give a helping-hand, designing loads of clever products to help create a sensory play experience at home. Wee Gallery are really good are designing stuff for babies that they love but that adults really like too. 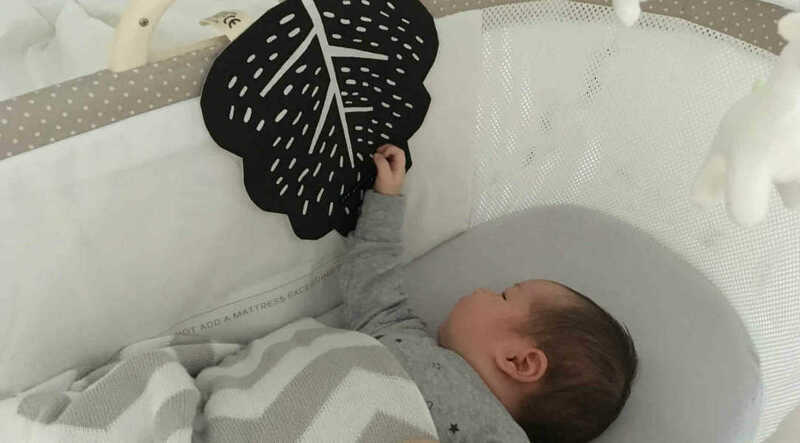 Their range of sensory toys, such as the Organic Puzzle Sensory Ball and Organic Cotton Crinkle Toy speak to babies through high-contrast black and white graphics to help them focus, mixed tactile surfaces to develop sense of touch and appealing sounds for auditory stimulation. Wee Gallery, Organic Cotton Crinkle Toy. Babies love music, so a small music box is a great gift from day one. The Fabelab Unicorn Musical Mobile will perk up tiny little ears when it starts playing its 'Hush little baby' tune. It's the kind of present that will be loved beyond the baby days, finding its way into toddlers and pre-schoolers beds as a familiar character to snuggle. The melody, that appeals to babies is also soothing, so if you are lucky, it may even send them into a slumber. We love Plan Toys who create sustainable rubber wood toys. These Sensory Blocks are a perfect toy that babies will grow to love. With soft edges, the blocks are designed to be safe for little ones to handle, with each block having its own unique feature relating to sound, sight and texture. Watch bubs gaze into the mirror, make sense of the fractured prism or touch the textured parts. They are a great addition to any hamper for a new baby. 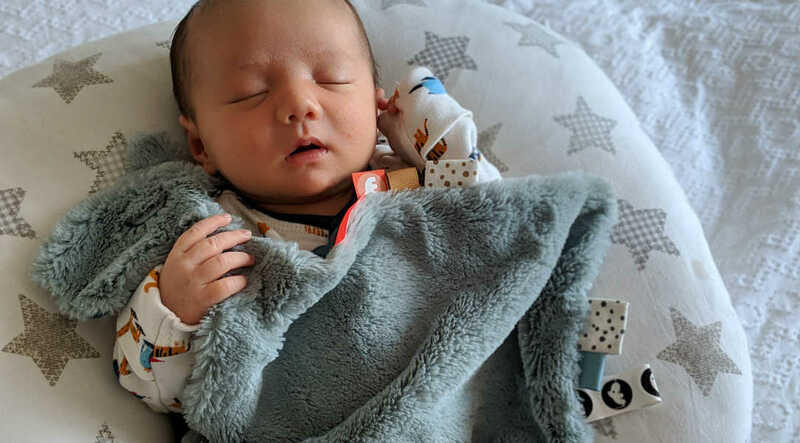 The Done By Deer Comfort Blanket Raffi, is a soft and safe toy for bed times, made from soft faux fur and jersey textiles that just call out to be cuddled. It’s hands down, one of the greatest comforters going. Likewise, Jellycat design the softest baby-friendly toys that we know of. We adore Puffles, the snuggly Giraffe, filled with beans so it sits unaided, it can be a feature on a shelf or a little BFF for babies to take everywhere with them. Done by Beer, Comfort Blanket Raffi. If they're less about soft toys and more about a good musy? The Mama Designs Muslins are the perfect gift. Featuring gorgeous prints, the brand also uses 100% cotton, for versatile cloths that can double up as a whole load of other things as well as security blankets.